Solitary formed in 1994 and signed to UK label Holier Than Thou Records in 1997, they made their first appearance on the HTT compilation “Genetically Fresh” which attracted interest from the JMG Agency who lined up support slots with Kill 2 This, Reign and Deranged from Sweden. May the following year Solitary record “Nothing Changes” Solitary then embarked on two UK tours to promote the album, which was released in November 1998. The reviews of “Nothing Changes” were very favourable; the music press compared Solitary to the likes of Fear Factory, Machine Head and Pantera. 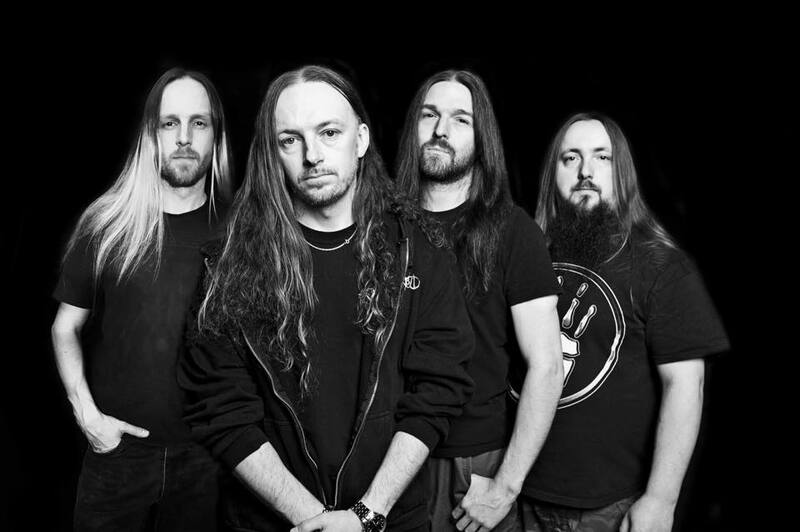 UK Metal Magazine Terrorizer stated “Solitary could even help break the long-standing British impasse. Solitary toured the UK again on the back of “No Reason’s” inclusion on Terrorizer’s cover mount CD in December 1999. June 2001 saw the bands mailing list now over six thousand strong handled by Copro Records issue a free CD, featuring “The Downward Spiral” Solitary kick-start their live career again on the Rocksound sponsored Nu Titans Tour. April 2002 “A Second Chance” toped the mp3 Metal Charts having on average been downloaded four thousand times per month. The band return to Assembly Line Studio’s to demo four new tracks one of the tracks “15 Years” is included on the compilation CD for the Rock detector “A-Z of Thrash Metal” book. October 2003 sees the new line up tour the UK again prior to the visit of Danish Metal band Lipid with whom they depart on a co headlining tour the following March. November 2004 Casket re release a repackaged “Nothing Changes” with bonus tracks, which include the Sacred Reich classic “The American Way”. 2008 saw the release “Requiem”, over a four-year period fraught with personal highs and lows the band created a Thrash Metal Monster. “Requiem” contains a guest vocal appearance from Chris Astley of 80’s Thrashers Xentrix on the track “Hatred” the CD also has cover of Testament’s “Into the Pit”. Requiem received phenomenal reviews from all the UK and European metal press Kerrang and Rocksound hailing the release as one of the strongest of the UK genre and Germany’s Legacy gave the band a slot on their cover mount CD, Solitary embarked on a number of UK shows in support of the release combined with appearances on Zero Tolerance and Terrorizer’s cover mount CD’s. 2010 saw the band support Lawnmower Deth in a Download warm up show at the same time the video for “Keep Your Enemies Closer” was included on the Sky channel Lava TV, the video receiving heavy rotation over the next six months. Solitary does the Big 4, in late 2010 the band played what they thought was a one of show the set comprised of 4 songs of each of the Big four, Metallica, Slayer, Anthrax and Megadeth from their 80’s albums. Following the success of this show the band agreed to do a few more gigs the appeal snowballed and they spent the next two years doing Big 4 shows. In 2013 Solitary were asked to play two shows with Thrash metal legends Xentrix, given the strong links between the bands it was fitting that they were involved when Xentrix reunited. Following the success of these shows the band were invited play with Xentrix again on the Headbangers Balls tour for the teenage cancer trust which resulted in them hooking up with Intune PR. Solitary recorded a live show a Selby in late 2013 and kicked off a pledge music campaign to help fund the release. 2017 see’s Solitary release a new studio album “The Diseased Heart Of Society” is so much more than ‘just another album’. It represents the complete rebirth of one of the UK’s most enduring thrash metal outfits and sets new standards in the process. Solitary have rediscovered the passion and anger that first inspired them to take up arms and rage at the world around them. Coupled with their hard earned experience, musical aptitude and the unquestioned skills of producer extraordinaire Simon Efemey (Amorphis, Paradise Lost, Napalm Death etc) the results are nothing short of staggering. From the unbridled fury of first single, ‘Unidentified’ to the accomplished majesty of epic album centrepiece ‘The Anthem Of Regret’, via precision thrash masterpieces like ‘Trigger Point Atrocity’ and ‘The Edge Of Violence’, Solitary have created an album of overwhelming power and focussed force. The Diseased Heart Of Society will take you by the throat and shake you ‘til you’re broken. The band’s allegiance to the thrash metal cause has always been unflinching and from the heart; their 2014 live album setting out their manifesto in clear and simple terms – I Promise To Thrash Forever. They’ve ridden out the ever changing tides of fortune without wavering in their dedication and now is their time. The Diseased Heart of Society is the greatest album of Solitary’s career, casting long shadows over all they have released before – even their acclaimed 2008 album Requiem. This album is not just a personal pinnacle though; it can take on anything released by the big names in thrash in recent years – take them on and win. The Diseased Heart Of Society is a roar of defiance from a band that are sick of the state of the world around them and tired of the weak imitations that have been masquerading as their beloved thrash metal. Enough is enough. Solitary are taking a stand and every true thrash fan will be proud to stand with them.